No one can agree about a single element in this story. It really is like a Choose Your Own Adventure. 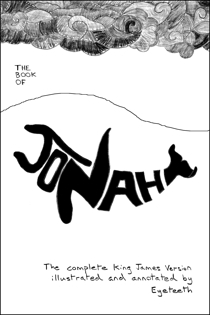 Will you regard the Book of Jonah as a kind of trailer for the New Testament, like the early Church Fathers? Will you use it to justify your own vicious antisemitism, like Voltaire and other Enlightenment smart guys? 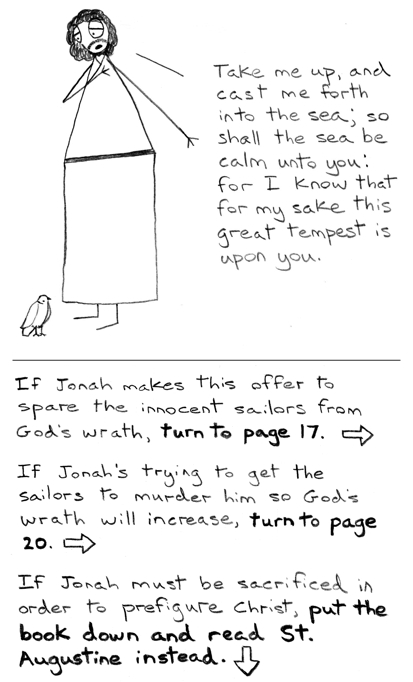 Or will you, in the rabbinical tradition, champion Jonah as a hero who resists God out of a love of the Hebrew people?